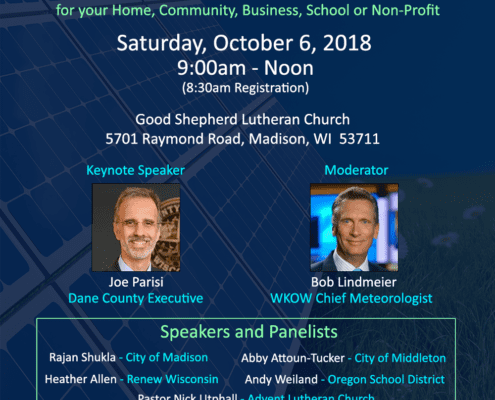 On October 6, 2018 from 9 am to 12 pm, LOPPW & SCSW host this time of information and learning about the good things that are happening in our area related to the environment. Did you know you can receive up to $10,000 in a rebate for solar panels for churches anywhere in Wisconsin? Come learn more about that along with what else is working in caring for God's creation in Wisconsin this Saturday! 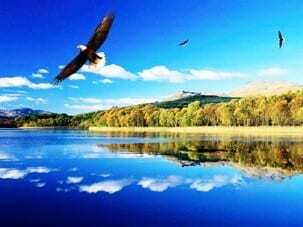 We are called to environmental stewardship and to care for the creation that God has given us. Climate change is impacting God’s creation. Humanity has an ongoing responsibility for restoration and stewarding all that God has given us.